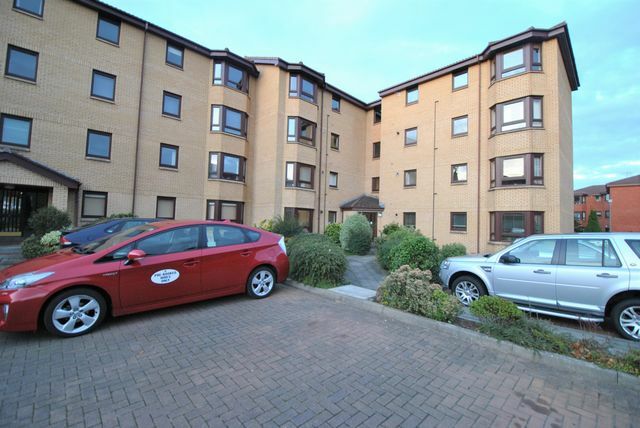 Fantastic top floor flat in well established and maintained modern block in excellent locale. The property consists of a good size dual aspect living/dining room, which is neutral in décor and furnished well. Views from both sides are fantastic. There is a separate good size kitchen with wrap round units and appliances all in place. The neutral theme continues. There are 2 bedrooms. The master bedroom has built in wardrobes and is well furnished with neutral flooring and walls. The second bedroom is smaller, but still a good size room and neutral. The family bathroom has a 3 piece suite with shower over bath. The property has GCH and double glazing with a well kept communal stairway with secure entry. There is residential private parking and shared grounds.